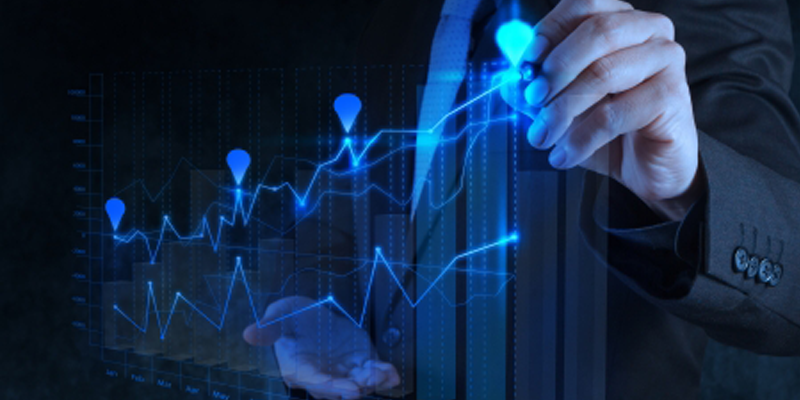 › What should be my approach to enhance Business Performance? › How to improve Employee Productivity? › How to harmonize the internal & external business environment? Business Performance is a complex, multi-dimensional puzzle, which can be solved by managing the ‘Organizational Climate’. To create a healthy organizational climate, attention is required to ‘Leadership Development’ & ‘Employee Motivation’. 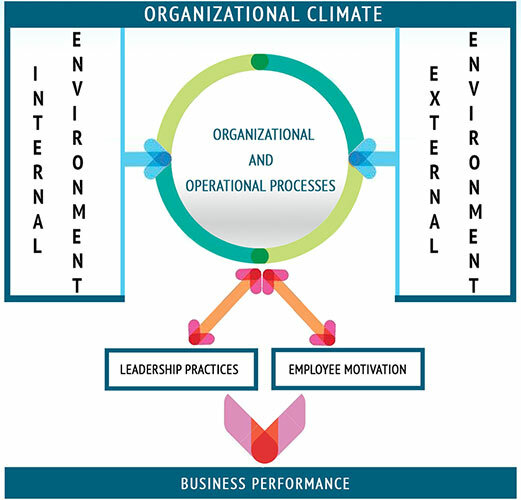 Besides this, managing Organizational & Operating Disciplines is important for business growth. This comes through an understanding of the internal & the external business environment. Let us view these dimensions in a simplistic, yet wholesome, manner. Internal – All aspects which, individually or collectively, impact on employee productivity constitute the internal environment of an organization. The most important component of internal environment, therefore, is the ‘workforce’. Each employee in the workforce has to be conditioned by the organization culture. This often requires a change in behavior. No behavioral change is possible without employee motivation. And motivating each employee to contribute to the overall team effort is the role of a leader. Leaders have to create & set up processes to manage human resources. Each process needs to be a closed loop feedback process. Otherwise, monitoring the outcome of the process is just not possible. Without monitoring outcome, no worthwhile initiatives can be launched to improve the internal environment. As an illustration, why the outcome of an employee performance management process has lately been a topic of heated discussion in various professional forums? Because performance management is now being viewed as a productivity enhancement tool. The erstwhile performance appraisal practice, in most organizations, was an annual ritual. Rituals are too static to bring a change in the work culture of the organization. What suffered eventually was the business performance. External – Besides the framework of Govt. policies related to industry & business enterprises, what impacts most on the business performance is the demand for an organization’s goods & services. This, in turn, is influenced by competition in the market. Managing this external environment is thus an art of devising the right strategy to capture a fair share of the market. The only aspect of external environment, which may be within your control, is the happiness of your existing customers. Organizational discipline aims to achieve inter-functional clarity & uniformity across the organization. To achieve this, a set of processes are laid down, with a discrete focus on compliance. CEOs won’t like to be on the wrong foot; thus they institute periodic audits of these processes, both internal & external. TQM and other similar approaches are deployed to manage organizational discipline, Functional & departmental rules/ instructions/ processes/ standard operating procedures (SOPs) are the tools to facilitate streamlining of functional flows. All these constitute the framework of ‘operating discipline’. The effectiveness of control on various aspects of organizational & operating disciplines, discussed above, comes only through well evolved leadership development practices in an organization. Leadership at various levels have to be tasked to spread awareness & monitor compliance. CEO has to personally steer this function, since it has the highest strategic value for improving business performance. It may be important to remember that grooming of Leaders has to be at all levels, so that leadership pipelines are created to support the succession planning process. These leaders at different levels have the enviable task of creating an internal business environment in which each member of the team gets motivated to contribute to the organizational objectives. Leadership has to become proficient in the art of extracting individual goals from the organizational objectives. And this alone can create a fully aligned organization, in which every leader understands his/ her contribution towards the overall business performance, ‘What to deliver & in what time frame’ is the type of clarity every leader has to acquire. Also, how the results will be measured at each level has to be a part of the leadership development drive. Clarity of objectives leads to self motivation. And when a Leader is motivated to deliver, each employee in the team gets charged to contribute to the team effort. There is no better way to build esprit-DE-corps to achieve desired business performance. Unfortunately, very few organizations, at the CEO’s level, attempt to follow this approach. Reason, perhaps, is the absence of HR systems to support the information needs of the CEO. E P = (Revenue during the year ‘Y’ – Revenue during the year ‘Y -1’) / Number of employees in the organization. Leadership has to identify a set of initiatives which should be launched across the organization to improve E P. Initiatives need to be designed after obtaining employee feedback on various attributes. Therefore, Leaders have to list out all possible attributes which could help in creating a healthy internal climate. Some examples of the attributes on which employee feedback can be taken are: (i) knowledge & skills of their Supervisors/ managers (ii) workplace comfort (iii) awareness about company policies/ procedures (iv) opportunities for self learning (v) willingness to accept additional roles (vi) availability of tools, jigs & fixtures etc… The technology today can enable collection of feedback with 100% employee participation. Sum total of what has been discussed above defines the organizational climate, which constitutes an atmosphere in which people can breathe easily and contribute to the growth of their organization. Three initiatives at the CEO’s level are:(i) Create leaders at all levels (ii) Sensitize leaders to create satisfied customers (iii) Obtain feedback from employees before launching strategic initiatives to improve business performance. In the next article, we shall discuss how to generate strategic initiatives. Gen. Basant Bhatia, has an expertise in HRMS & Tata Business Excellence Model (TBEM). His current focus is on HR technology interventions to manage business performance. He has helped many organizations in the design of programs for productivity enhancement.